The function of this regulatory program is to protect consumers' health by ensuring that food in Georgia is prepared in a clean environment and honestly presented. The Manufactured Foods Section food safety inspectors, known as processing specialists, conduct random, unannounced inspections of food manufacturing facilities and warehouse distribution facilities in the State of Georgia, such as processing plants, wholesale bakeries, bottled water and drink processors. (Facilities that process meat and poultry products are regulated by the GDA Meat Inspection Section and the USDA Food Safety Inspection Service.) The inspectors collect food and water samples during inspections, and they review sanitation practices and product labels. 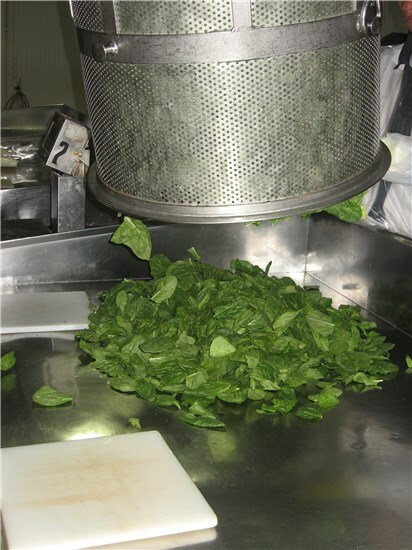 All processing specialists must complete advanced training in various specialized processing operations. 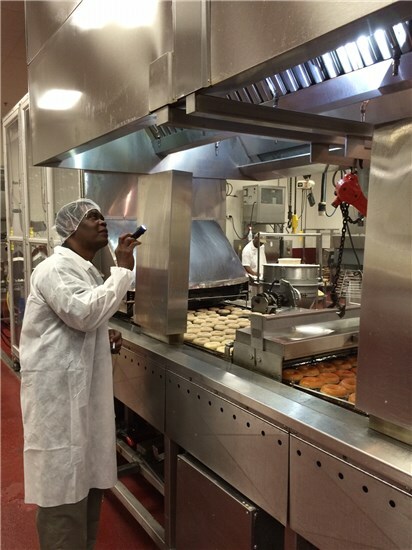 Manufacturing (or processing) facilities and food warehouses are regulated by the Manufactured Food Section within the Department's Food Safety Division. The regulations for the State of Georgia have been adopted from the Food, Drug and Cosmetic Act as well as several portions of the Code of Federal Regulations, Title 21. The Georgia Food Act requires anyone who intends to operate a food sales establishment in the State of Georgia to obtain a license from the GDA. When you decide to start a food business in Georgia, there are several steps you will need to take before you’re ready to begin operation. The information on this webpage serves as an outline of the recommended steps to take before becoming licensed. Please review the sidebar of “Helpful Links” on this webpage to help you get started. The “Additional Resources” may also be useful to review. Review the Basic Regulatory Requirements and Manufactured Food Regulations to understand the requirements of operating a food sales establishment in Georgia. Also review this Q&A for processing regulations for additional guidance. Contact your city/county Planning and Zoning and/or Business Development offices and work with them to obtain a Certificate of Occupancy for your business. If you are using a private water source for your business operations, a water sample must be collected and tested annually by the GDA for coliforms and nitrates. For private sewage/septic you will need to contact the local health department to ensure the septic system can handle the output from your operations. Consider submitting a Business Plan early on to ensure your operation meets the basic regulatory requirements. Business plan reviews are required in order to determine whether the firm requires licensing from the GDA, if the firm’s operations are within the scope of the GDA’s regulations, and to ensure the facilities provided are adequate for the food that is being produced and/or sold on the premises. You will need to have your business plan reviewed prior to being licensed. It is the firm’s responsibility to ensure the label(s) on all food product(s) are accurate and meet the regulatory requirements. Review the GDA’s Food Labeling brochure for advice on creating food labels, and refer to FDA’s Food Labeling Guide for additional guidance. A final, finished product label is required prior to a firm becoming licensed and operational. Manufacturing facilities are also required to register with the FDA. New businesses will have to click on “Login/Create Account” to begin. Be sure to save the information you are given at the end of your registration in a safe place. All food manufacturers in the State of Georgia are required to conduct product testing on finished products and finished product ingredients. Every processing facility in the state is assigned a risk category, which determines how often testing must be conducted. To learn more, read this letter to manufacturers. Confirmed positive test results indicating a product is adulterated with the presence of poisonous or deleterious substances/contaminants must be reported to the GDA within 24 hours of obtaining the test results (even if the product is still in your control) either by calling 404-657-4801 or by emailing postiveresults@agr.georgia.gov. The results will also likely need to be reported to the FDA and/or USDA; find more information on this positive sample reporting and recall process guidance document. If you are producing a product that requires classification (i.e., acidified food or low-acid canned food), review the Guidelines for Food Processing Safety. Depending on the classification, you may need to take a course with a Better Processing Control School of your choice. The University of Georgia offers some in-person classes (view upcoming dates on the UGA Calendar of Events), the University of California offers an online course and there are other course offerings around the country throughout the year. Visit this FDA webpage to learn how to establish your product registration and process filing. Read this letter to AF/LACF processors for additional information. 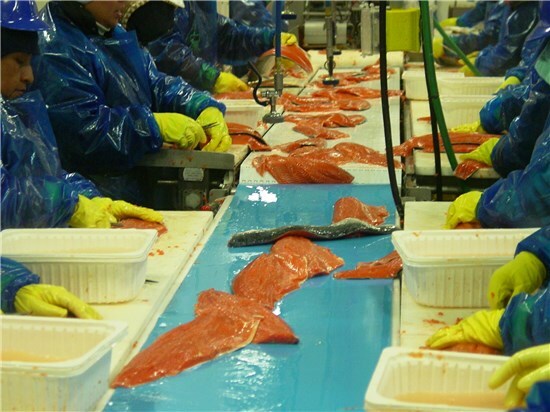 If you are in need of a Wholesale Fish Dealer’s License, you will need to take a Seafood HACCP course. See our Seafood Safety webpage for more information and additional resources. If you wish to wholesale/distribute juice products, you must meet the requirements in the 21 CFR 120 regulations. Please note: Unpasteurized juice cannot be sold through wholesale in Georgia. Find additional information and resources online via FDA Juice HACCP, Penn State University Extension, Cornell University College of Agriculture and/or the University of Florida Citrus Extension.